Quick, simple and and family-approved — this pasta with sun-dried tomato pesto and fresh mozzarella pearls is good hot or cold. Quick, simple, and family-approved — this pasta with sun-dried tomato pesto and fresh mozzarella pearls is a new favorite of mine. It’s almost as easy as opening a jar of tomato sauce and pouring it over noodles, yet so much more special. And here’s the best part: the pesto itself yields enough for two dinners (and freezes well) and the dish is just as good at room temperature as it is hot, so it can double as a pasta salad for a picnic or barbecue. To complete the meal, toss a quick arugula salad and warm some good bread. Or, for meat lovers, consider browning some Italian sausages to serve alongside. To begin, bring a large pot of salted water to a boil. (Add enough salt so that the water tastes like the sea.) Cook the pasta according to the package instructions until al dente. You’ll need to reserve some of the cooking water for the sauce. It’s easy to forget to do this, so I always set a liquid measuring cup out as a visual reminder. Meanwhile, make the pesto. In the bowl of a food processor fitted with the steel blade, combine the sun-dried tomatoes with their oil, garlic, salt, red pepper flakes, sugar, basil, pine nuts, Parmigiano-Reggiano and olive oil. Pulse, scraping down the sides as necessary, until the mixture is finely puréed. Divide the mixture in half. Set aside. Reserve about 1 cup of the pasta cooking water (you’ll need it for the sauce), then drain the pasta. Taste and adjust seasoning with more salt and red pepper flakes, if necessary. Right before serving, toss in 2 tablespoons chopped basil and the mozzarella pearls (it’s important to do this right before serving so the cheese doesn’t melt from the heat of the pan). Transfer to a serving dish or pasta bowls and serve with more grated Parmigiano-Reggiano. Bring a large pot of salted water to a boil. (Add enough salt so that the water tastes like the sea.) Cook the pasta according to the package instructions until al dente. Meanwhile, make the pesto. In the bowl of a food processor fitted with the steel blade, combine the sun-dried tomatoes with their oil, garlic, salt, red pepper flakes, sugar, basil, pine nuts, Parmigiano-Reggiano and olive oil. Pulse, scraping down the sides as necessary, until the mixture is finely puréed. Divide the mixture in half. Set aside. Reserve about 1 cup of the pasta cooking water (you'll need it for the sauce), then drain the pasta. Add the pasta back to the pan. Add half of the pesto and stir to combine, adding the reserved pasta water little by little, until the pasta is well-coated and moistened. I usually use about 3/4 cup of pasta water. (Refrigerate or freeze the remaining pesto for another meal.) Taste and adjust seasoning with more salt and red pepper flakes, if necessary. Right before serving, toss in 2 tablespoons chopped basil and the mozzarella pearls (it's important to do this right before serving so the cheese doesn't melt from the heat of the pan). Transfer to a serving dish or pasta bowls and serve with more grated Parmigiano-Reggiano. Note: If you'd like to serve this pasta dish at room temperature, wait until the pasta is cool to add the mozzarella pearls. Made this for dinner last night and the sundried tomato pesto was absolutely delicious! Hubby and I both went back for seconds and hubby is still talking about it the morning after. The mozzarella pearls I bought from Whole Foods were quite large, so I halved/quartered them… which could cut down on the ‘rubbery’ consistency some other reviewers experienced. Served with a simple side salad. This is probably the 5th recipe I’ve made from this site and loving all of them – thanks Jenn! Love this recipe! It is very easy to make. I altered the recipe and added more pesto, which I thought gave it more flavor. 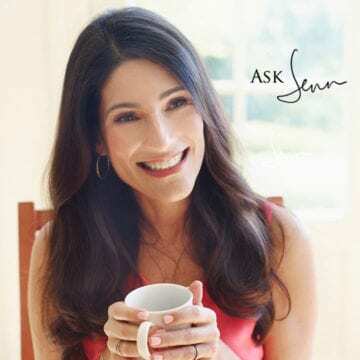 Hi Jenn: I have two questions due to a dietary restriction. Would the cooking water from gluten free pasta work to add to the pesto? Would we use this pesto to make a shrimp dish without the pasta? In this case, there wouldn’t be pasta water either. Would something else need to be substituted? 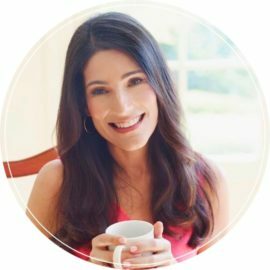 Hi Leslie, I wasn’t 100% sure about either of your questions, so researched it and found that the cooking water from gluten-free pasta may not be quite starchy enough for what you need here and that if you want to make a shrimp dish with no pasta a great replacement (in both cases) is water mixed with cornstarch! You can get some more details about it here. Hope that helps! Thank you, Jenn. I really appreciate your help. No thanks. The flavor was so strong. I was so excited to be able to use the basil I grew. But this was just a bit too much. Great recipe! I was looking for a new pasta recipe, and this one will definitely be made again, minus the mozzarella pearls. I never met a cheese I didn’t love till I tasted mozzarella pearls. They actually took away from the amazing pesto, so I just pushed them aside and ate the pasta. My husband, on the other hand, loved them. You replied in one of the reviews that leftover pasta can be re-heated with pesto and a bit of water or olive oil. If I made the pasta ahead the day before can I reheat before serving the same way? I would be making a double recipe. Yes, Jo, I’d reheat it that same way. If you plan to wait until the second day to eat it, I’d add the mozzarella after you reheat it. Sure, Cel, I believe they’re pretty interchangeable. Hope you enjoy! I’ve been looking for a good pasta recipe for awhile now (ever since we got tired of canned/jarred pasta sauce) and this was delicious! It was also so so so easy. I much prefer to bake and am not much of a cook, but for the 2nd time in 9 years, my husband said something I made was “delicious” and, for the 1st time(! ), that he’d like me to make it again. I will definitely make this again. There were a few edits because I either couldn’t find an ingredient or my husband doesn’t really like cheese – I used a jar of sun-dried tomatoes with pine nuts (which was helpful bc I couldn’t find pine nuts in my grocery store), couldn’t find fresh basil so used some slightly dehydrated basil in the produce area, cut the parmesan in the pesto in half, and omitted the mozzarella pearls. It was still so delicious and so easy! Thank you for such a great and easy recipe! Another Yummy one! Thanks Jen! Without exception,this recipe and EVERY recipe in your cookbook AND on your website is sooo easy and so delicious! I added fresh corn sauteed with onion in olive oil after everything was mixed together. It was a huge hit! Absolutely delicious! I paired it with your Parmesan Crusted Chicken and a simple salad. I will make this again for sure! This recipe was delicious. My husband is usually weary of dinners that don’t include any meat, but this was so delicious he didn’t even notice. The fresh mozzarella adds a great texture and the pesto was surprisingly easy to make. Love how accessible/easy your recipes are while still tasting like fine dining! Your recipes make me feel like I can actually cook! I LOVE this, but not with pasta, I found the mozzarella a bland and rubbery addition to the dish, it was ok but not my favorite pasta dish, However, just the pesto as a dip or spread on grilled crostini was out of this world!!! The reserved half that the recipe makes was eaten plain by the spoonful and it is swoon-worthy. Hi! My kids are in love with your dishes and are eager to try this one…the thing is, they have nut allergies. Do you suggest I try the recipe without the pine nuts, or is there another ingredient I can substitute in for the pesto? Thank you! Hi Christine, You could just leave the nuts out – the sun-dried tomatoes give the sauce plenty of body. Add more cheese if you think it’s missing something. Hope that helps and so happy your kids like the recipes! So delicious and easy to make! A hit with my pasta loving husband as well. Glad you liked it! The pesto should keep well in the fridge for up to about 3 days. Just wondering… you say to use half the batch of pesto for this recipe. Approximately how much would that be? Hi Laurie, It’s about a cup. Hope that helps! I’ve made this already and it was amazing!!! I was wondering if this could be made ahead and served cold? Hi Vikki, Yes definitely – it’s good at room temperature. Just wait to add the mozzarella until the pasta is cool, otherwise it will start to melt. Looking forward to trying this one! Quick question though: your red pesto includes 1/4 cup olive oil in this recipe, but you don’t seem to add any olive oil to the red pesto recipe of your grilled cheese sandwich… maybe just an oversight? thanks!! I’ve got packaged sun dried tomatoes. Can I use them and add 3/4 c olive oil? I haven’t made it yet but am a big fan. Hi Susan, I think it would work, but that you’d need to rehydrate the tomatoes first. 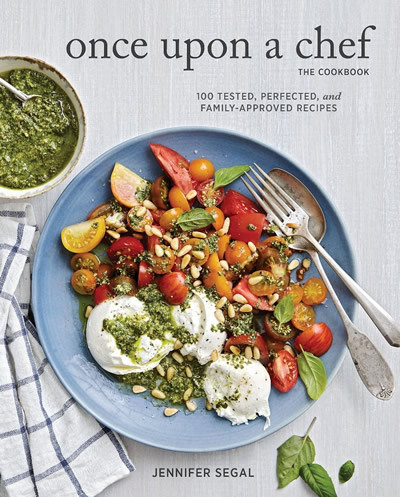 Am I’m not 100 percent sure how much olive oil you’ll need to add to make the pesto, but I’d start the 3/4 cup that you mentioned and then add more if necessary. Hope you enjoy! I made this recipe last night for my family and it was incredibly delicious AND easy. We loved the mozzarella pearls! I am going to make this tomorrow night but would like it as a main dish so I want to add a protein to it. I was thinking shrimp – any recommendation on how to do that? I would use uncooked tail on frozen shrimp. Hi Elizabeth, I think shrimp would be great with this. I’d sauté them separately in a little olive with garlic, salt and pepper, then add them to the pasta along with the pesto. Keep in mind that you may need a bit more than half of the pesto sauce. I’d love to know how it turns out! It was delicious! I did just what you suggested – sauteed the shrimp with some butter and garlic and added it in. The pesto is incredibly easy – I made the pesto and then put the dish together right after work in about 15 minutes. The flavor is great and I’m excited to figure out what to do with the rest of the pesto! So glad you enjoyed it, Elizabeth. I love this pesto on grilled cheese sandwiches with fontina or even smoked gouda. Very good pesto!! Could not find mozzarella pearls so I left them out and added more parmesean-reggiano. Questions: how long can I refrigerate the other half of the pesto before freezing? And, can I reheat the left over pasta with pesto sauce? Glad you enjoyed it, Diane! I’d say you could keep the pesto in the fridge for up to 3 days before freezing. And yes, you can definitely reheat the pasta with pesto sauce; just keep in mind you may need to add a bit of water or olive oil to re-moisten it. I really liked this recipe but my family didn’t. I think if I made it again, I would happily skip the mozzarella pearls. To me, they just add more fat to the recipe without a huge taste payoff. The sundried tomato base recipe is so yummy, I could probably eat it by the spoon. The pesto is absolutely delicious! My mind is spinning with other uses for it. Glad you like it! It’s wonderful on grilled cheese, too. HI Jenn….I purchased a ball of burrata for your tomato salad…would this be a good substitute (cut up of course) for the pearls? Thank you in advance…you rock the kitchen world! Hi Gail, While it would be delicious, I don’t think burrata would work here as it has a much softer, runnier consistency than the mozzarella pearls. Sorry! Looking for a new pasta salad to serve at a picnic. This looks delicious. Can it be served cold? Hi Susan, I’d serve it room temperature if possible otherwise cold will work. I’d love to know how it turns out! Could walnuts be substituted for the pine nuts? Yes definitely, Pat – I often do that.